Tosca Structure features best-in-class optimization technology for high quality simulation results. 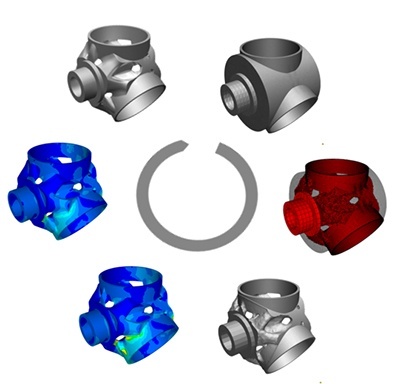 Take full advantage of your optimization potential while leveraging advanced simulation capabilities such as material and geometrical nonlinearity. "Tosca Structure creates optimized design concepts with significant potential for savings of material and weight. Optimization in an early phase speeds up the product development and hence results in a shorter time-to-market." Sign up to request pricing without any obligations!